Welcome to the 501st, Trooper. You are now a part of Vader’s elite squadron, handpicked to hunt rebels and Jedi across the galaxy. Whether you’re reacting to another drill on the Death Star or not finding the droids you are looking for on Tatooine, this Adult Stormtrooper Costume will show aliens and humans alike that you are a top echelon fighter. All will hear and obey your shouts of “Close the blast doors!”, followed immediately by “Open the blast doors! Open the blast doors!” The durasteel armor will protect you from almost any impact, such as running into a door that wasn’t fully open. (Usage Warning--not fully protective against sticks and stones wielded by small fuzzy bears, or advanced force users.) You’ll never have a bad feeling about this Adult Stormtrooper Costume. You can wear this Adult Stormtrooper Costume no matter what size you are, although some may make quips if you’re a little short to be a Stormtrooper. The pressure- and air-maintaining functions of this armor are also very impressive; whether you’re stationed on a small moon, or a space station, you’ll never have to be afraid of losing your life support. 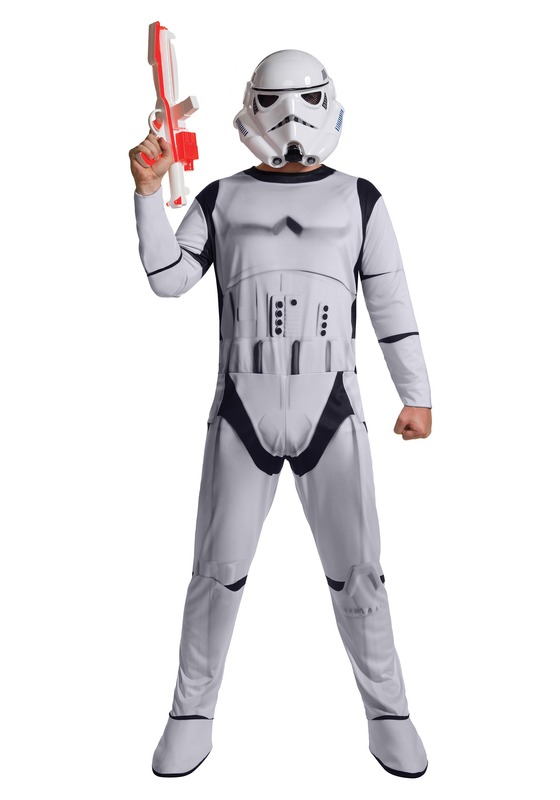 Don’t fear any rebel scum, Wookie slaves, or malfunctioning droids when you wear this Adult Stormtrooper Costume, for the force shall be with you. Always.